But if you are new (and slightly confused) here are some tips on basic controls and operations your DNA mod can do. Please note: these settings and operation tips work on ALL DNA mods, including DNA 75 and DNA 250 versions. Power On Device: Hit the fire button five times. Lock Device: Once it’s switched on, click fire button five times. Activate Stealth Mode: Once device its powered on, depress the UP and DOWN buttons for five seconds – this will dim the display (and put it in stealth mode). Lock Power Setting: If you want to lock your wattage/temperature at a certain setting, simply depress the UP and DOWN buttons for two seconds. This will lock-in your settings. Lock Atomizer Resistance: Make sure mod is powered on, and you have a tank attached, then, hold down UP and DOWN keys simultaneously to lock the atomizer’s resistance. DNA mods are designed to be super-accurate, so whenever you install a new tank, the reading you’re getting on the display is likely exactly what it should be – these mods are 97% accurate! This means, once you’ve installed a tank, you just need to adjust your settings to find the optimum output for your desired needs. If you’re running an RDA, RTA or a performance sub-ohm tank, you’ll likely want to start anywhere around 50W and build up until the flavor peaks – this could be anywhere from 80W to 100W. If you’re using an MTL tank, you’ll want to start MUCH lower; anywhere from 10W to 15W should be fine, and then work up to a place where the flavor really pops. Simple: find the best setting for flavor, and lock it in. This will vary from person to person, so you have to experiment. The tank you’re using (and the coil) will have suggested settings, use these to guide you – and always start low. You do not want to burn out your coil too quickly. DNA mods are exceptional at temperature control vaping, so if you’re using TC you’re in very good hands. No other mod can match the DNA chip for temperature control vaping. Escribe is where things get a little fancy! Basically, using this software on your PC, you can customize ALL kinds of settings on your DNA mod. Escribe DOES NOT work on Mac, so to take advantage of this software you will need a Windows PC. Also: you don’t have to use Escribe, it’s not mandatory. But if you like tinkering it is kind of cool. So, you could have one profile for your RDAs and another for your MTL tank, and the DNA mod will remember them. Not really, that’s about it for the basics. DNA mods are designed to be super-useful and very easy to use. All the fancy bells and whistles happen under the hood with you knowing much about it. 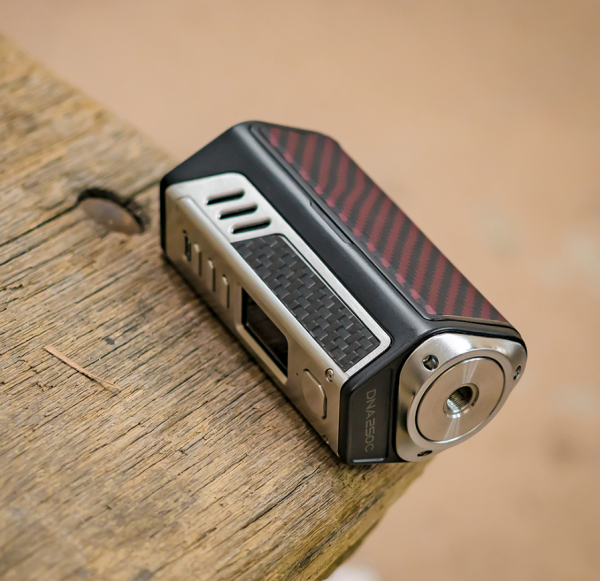 For safety, accuracy, and overall features and efficiency it is more or less impossible to beat a DNA mod. They are pricey, but once you’ve experienced one you will know why and you probably won’t want to ever go back to using a cheaper, inferior mod again! It includes all of our favorite mods that scored incredibly high scores when we tested them out.